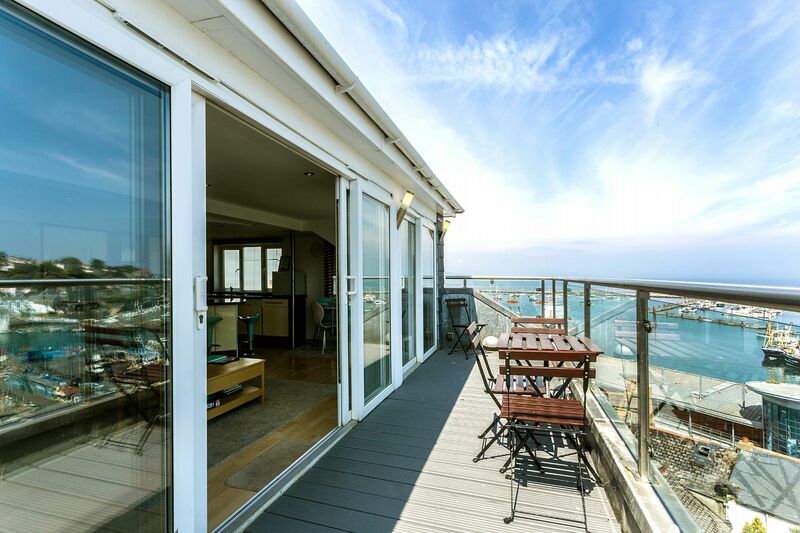 If you're looking for a property with the ultimate WOW factor - you've found it! The Penthouse spans the entire top floor of this small apartment block and is furnished & decorated in a top quality, cool & sleek style with lots of high class designer touches. 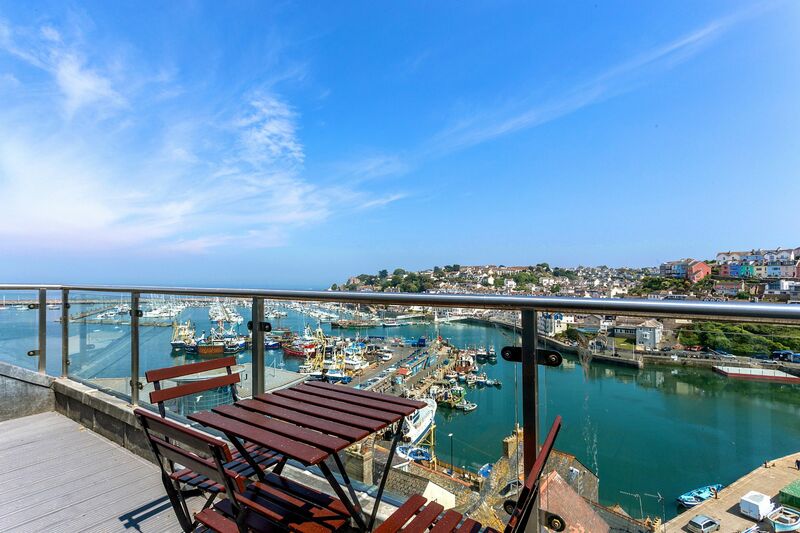 The star of the show is undoubtedly the full width balcony from where you can enjoy magnificent views of the harbour, marina & Torbay. 2 nights or more available from any start day. Weekly only Sunday to Sunday during peak season. 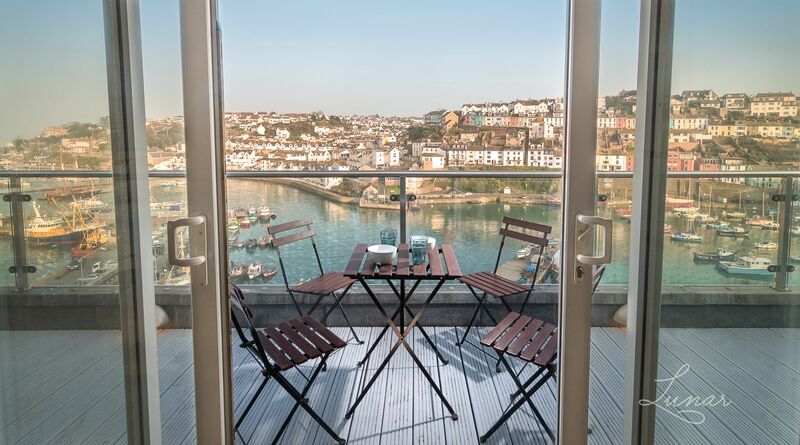 Open the balcony doors, breath in the fresh clean sea air, marvel at the incredible sparkling blues of the bay and relax. Please note: With its elevated position, The Penthouse is located on a hill with steep steps to reach it, although a taxi can drop you outside the door and you have a parking space opposite the entrance. There are 3 and a half flights of stairs to reach the apartment once inside the building. There is no lift. Therefore this property is not suitable for people with mobility issues. You can park outside the property to unload your luggage. The dedicated parking space is built into the cliff face opposite the building and can accommodate a small hatchback type car only. There are council car parks within a 10 minute walk for guests with larger vehicles, Weekly council parking permits cost approx £35. A beautiful clean, modern and spacious flat. Location was perfect as we parked our car up for the week and either walked, used the bus (very cheap and all bus details available in flat) and used boat to Torquay. The views from the penthouse are stunning - couldn't have been any better. We liked that there was basic essentials left for us ....milk, bread etc but also dishwasher tablets, tea towels. There was plenty of hot water and the bathroom was luxury. This really was a fabulous flat and well priced for high season. 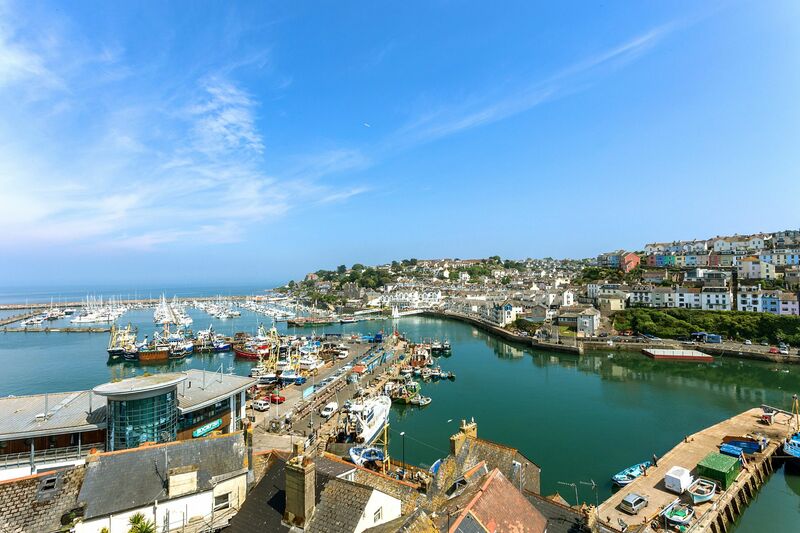 A great property in a fantastic location with superb views of the marina, we couldn't have asked for more. We thoroughly enjoyed our stay and would highly recommend. 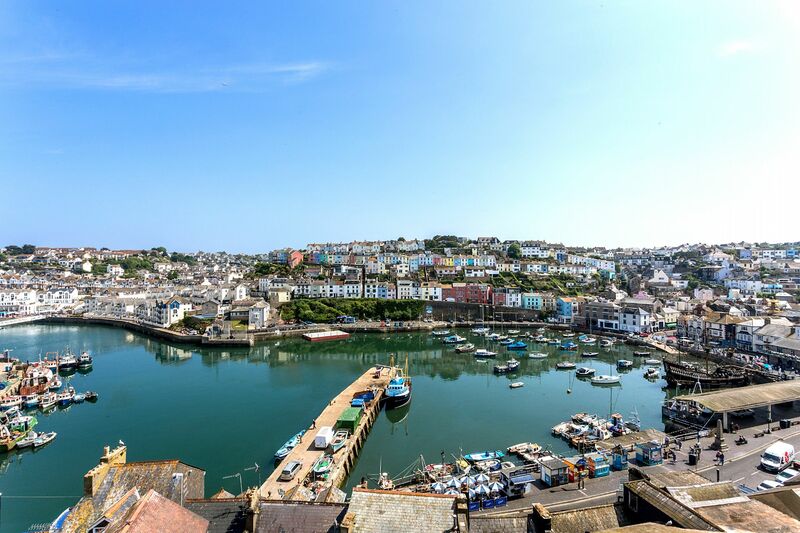 Located in an elevated position on Overgang, its a 5 minute downhill walk to the harbour below with its many shops, restaurants, cafes and attractions. An ideal base to relax and explore the area. With its elevated position, naturally there are quite a few steps to reach this property, so it's not suitable for guests with mobility issues.